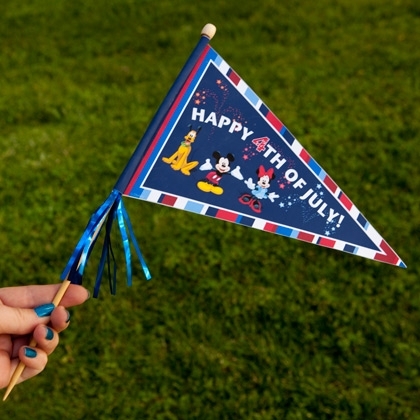 Print the flag on regular paper or cardstock and cut out both pieces. Cut along the four solid gray lines adjacent to each tab. Use glue or double-sided tape to secure the two sides back-to-back, making sure that they line up at the tip. Roll the tab on side 2 around the end of a small wooden dowel, then glue it into place. Decorate your flag with ribbons and streamers to make it more festive!